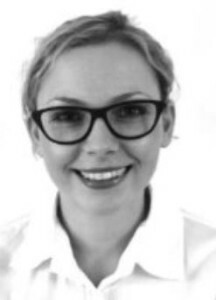 Agnieszka Bochyńska graduated 2016 July 8th, after which she left the ORL. Click her LinkedIn tag. To Thesis: Development of Biodegradable Adhesives for Meniscus Repair. In 2006 I started the M.Sc. studies at the faculty of Chemical and Process Engineering at the Warsaw University of Technology. Since the beginning of my studies I had interest in biomedical engineering and starting from the 3rd year, I worked in the Laboratory of Biomedical Engineering of the same faculty. My specialization is Biomedical Processes and Products. During the last year of university I joined the BMC group of the University of Twente, Netherlands, for a master internship. There I worked on the development of hydrogels for cartilage tissue engineering. After graduation, I had the opportunity to further develop my interests in the exciting field of biomedical engineering, starting in 2012 a Ph.D. at the ORL of the Radboudumc, under supervision of prof. Pieter Buma. I work in collaboration with the Biomaterials Science and Technology (BST) group at the University of Twente. There, I spent the first two years of my Ph.D. research under the supervision of prof. Dirk Grijpma. The goal of our project is to develop a tissue adhesive for meniscus repair. Meniscus tears are very common knee injuries. Tears are usually located in the highly loaded, avascular, inner region of the wedge-shaped meniscus and do not heal spontaneously. Such tears result in pain, swelling, and eventually locking of the joint. Current repair techniques are mainly effective in treating tears located in the peripheral vascularized region of the meniscus. In many cases, a (partial) meniscectomy is performed as the way of treatment, which results in instant pain relief. However, the long term result of removing meniscal tissue leads to slow joint degeneration and irreversible osteoarthritis. The optimal treatment for a patient would be to restore the integrity of his native meniscus. 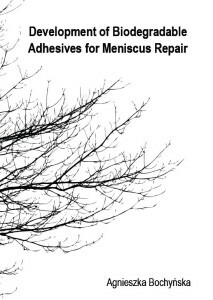 Surgical tissue adhesives are interesting materials that can be used for gluing a damaged meniscus. However, the poor mechanical properties and toxicity of available adhesives make them useless for this particular application. Therefore, the goal of this project is to develop a novel tissue adhesive suitable for treating meniscal lesions. These lesions will be glued with a tailor made biodegradable polymeric adhesive material, which will be delivered to the place of injury via minimally invasive arthroscopic procedure and will cure in situ. The resulting polymeric network will hold the torn parts of the meniscus together during the period of healing and then will be degraded and subsequently secreted from the body.